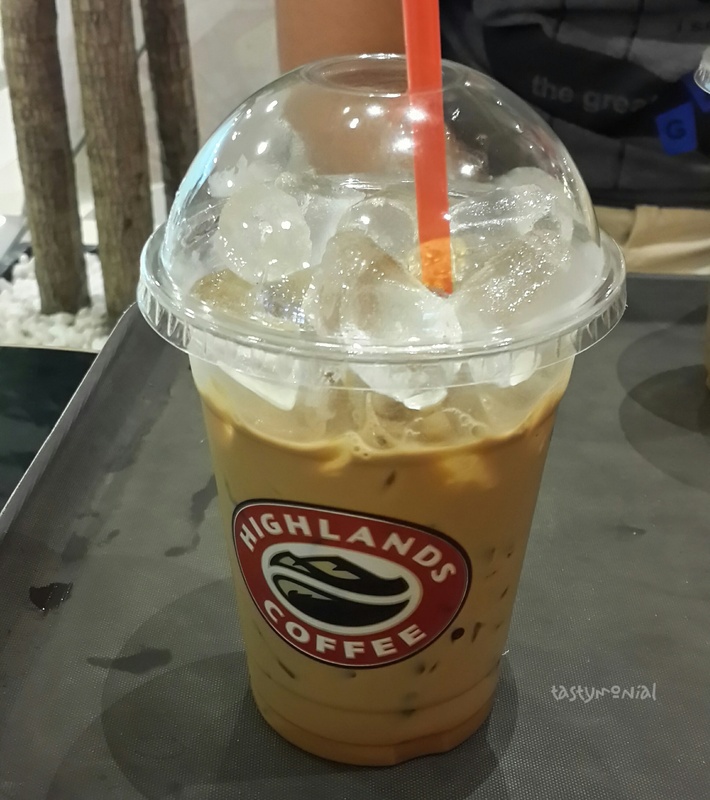 I have been in Ho Chi Minh City for 10 months now, and I never tried one of their big coffee company, Highlands Coffee. On the other hand, I’ve been visited their competitor quite often (basically every time I have a guest they always want to go there). I heard about Highlands Coffee from my brother in law. He tried it couple years ago on his trip to Vietnam. He told me that for hot coffee Trung Nguyen still the best, while Highlands Coffee excel on their ice coffee. Just 1 sip and I can feel that this coffee is strong. It was really good, but it’s a strong coffee. I was struggling to finish it because my stomach started to hurt a bit. I think this ice coffee is better than Trung Nguyen’s, but mind that this one is stronger. So if you can’t stand strong coffee, just order small size (or just ask your friend order this then you sip a little to try xD).